What better way to show off that great photo of your adoring dog than with this high quality picture frame! Beautifully distressed for a casual designer look. Hand finished and weathered so that no two frames are alike. Decorated with a beautiful and playful chrome “fire hydrant” ornament. Finished with a high quality black masonite backing for tabletop display. 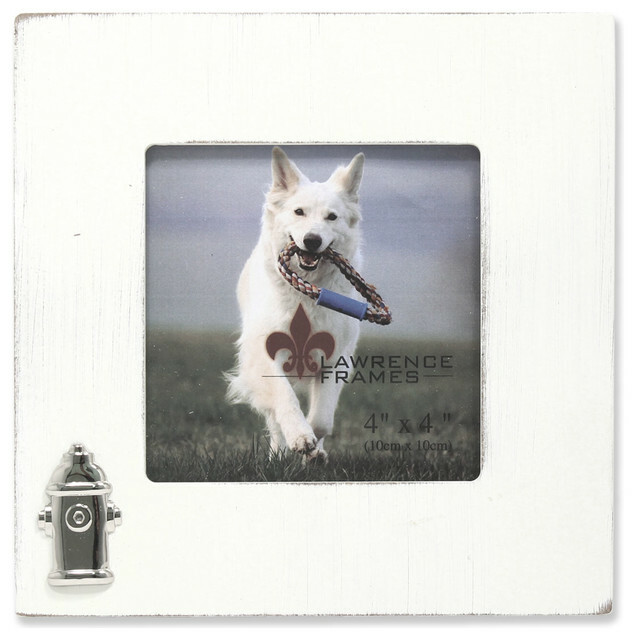 This frame comes with glass to protect your photo, and is Individually boxed.